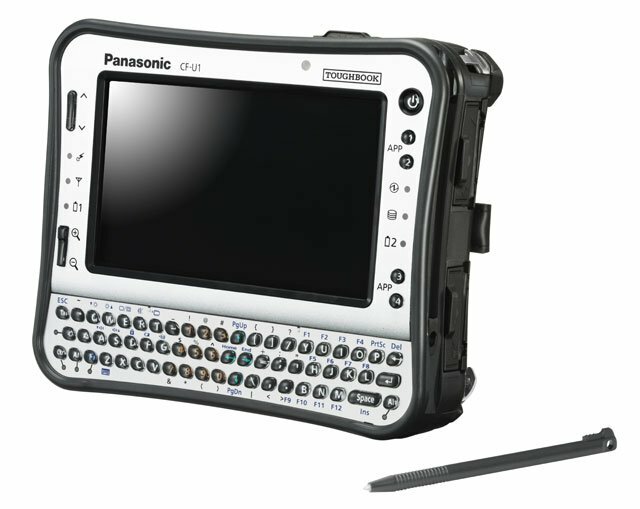 The Panasonic Toughbook U1 Ultra is the newest member of the Toughbook U1 family, and is the clear alternative for legacy Windows Mobile solutions when you need your mobile workers to do more in the field and need an advanced mobile solution that can work anywhere. The Toughbook U1 Ultra features a brilliant LED screen capable of up to 6000 nits in direct sunlight and can automatically adjust its screen brightness to fit its environment. Genuine Windows 7 support means an easier to use interface and more off-the-shelf commercial applications than any OS on the planet. 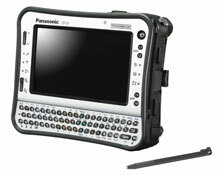 Plus the Toughbook U1 Ultra features a rugged modular design, and a host of integrated options like GPS, Gobi2000 mobile broadband, 2MP camera, and barcode readers, there are no limits to productivity. The Toughbook U1 Ultra is ideally suited for multi-tasking applications such as SAP, CRM, turn-by-turn directions, drawings, schematics, GEO tagging and paperless forms. The Panasonic CF-U1GQGQG1M is also known as CF-U1GQGQG1M	or CFU1GQGQG1M	.